Okay so it might be a collection of games from the PS3, just remastered, but it’s a collection that features two of the very best action adventurers the last generation saw (and one okayish one). What is probably best described as a series where you literally feel like Indiana Jones (albeit with a whole lot more destruction) Naughty Dog crafted a pair of fantastically polished experiences that even to this day are tough to top. 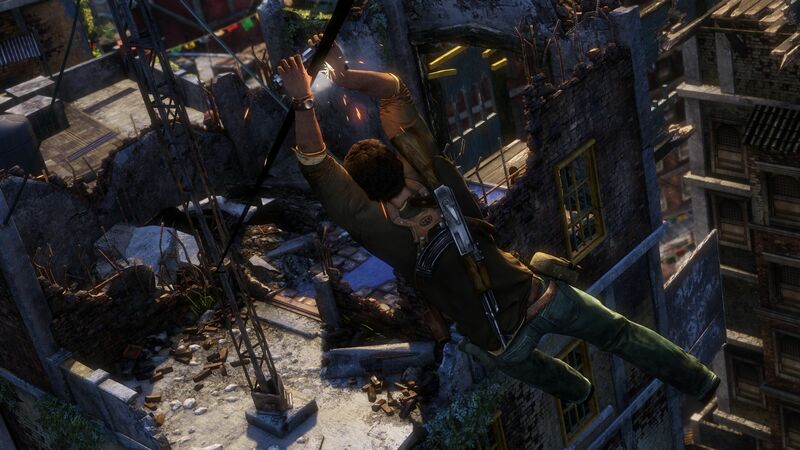 Everything from its characters to the detail in every nook and cranny Nathan Drake would explore. Whether it was my girlfriend or brother, they’d stop and take notice of the action unfolding on screen – hanging from the back of a cargo plane, climbing a train or trying to escape a burning château. Of course it being a remaster, it felt wrong to feature it in a list honouring the ten best new releases of 2015. Nonetheless it’s certainly deserving of your attention especially if you’ve yet to experience the adventures of Nate and co.
As much as I complain about Fallout 4, there is something to be said about the game’s sense of vastness and general tone. The apocalyptic Boston is a truly wondrous setting to explore and there is certainly a satisfying feeling to conquering every new run-down area. Hospitals, factories, museums and baseball stadiums all bleed character with remnants of what they once were littering every corner and corridor. Whatsmore when reaching new territories I never felt safe – a feeling the game truly nails. Every beast or gang keeping me on my toes, I would constantly feel like I was in a fight for survival . Whether I was blasting away mutants with a shotgun, high-tailing it from a pack of dogs or sniping groups of humans from above, there were surprisingly few dull moments in a game set in the aftermath of a nuclear bomb explosion. Sure the game itself looks unimpressive and it’s riddled with bugs, but its core just… works and constantly had me coming back to see where my adventure would take me next. 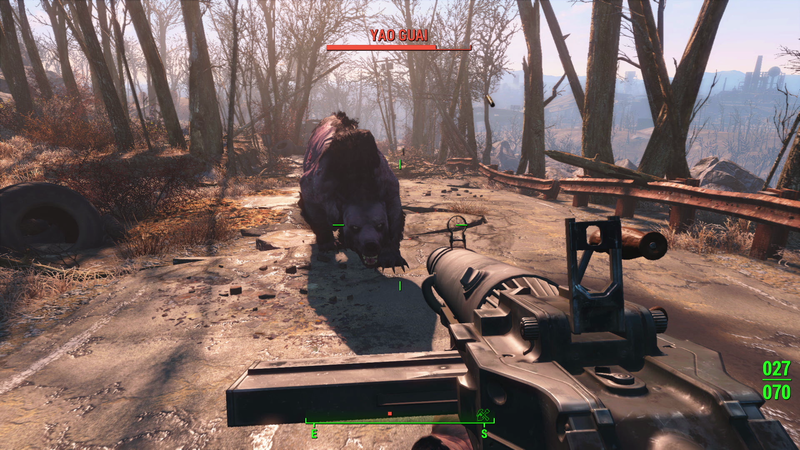 Warts and all, Fallout 4 is a memorable journey and I for one am glad I made the trip. A delightful little puzzle platformer from the developer responsible for a number of Kirby and Super Smash Bros. titles , Boxboy! is a game easily overlooked. First impressions aren’t strong with visuals so simplistic they’re likely to throw people off. Give it a chance though and you’ll uncover a smart, plucky puzzler that had me glued to my 3DS for weeks on end. 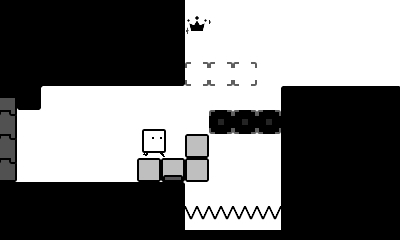 You play as Qbby, a moving box who may not be as athletic as the likes of Sonic nor even Mario, but instead possesses the ability to summon boxes from his side in order to use them as platforms. Things start relatively simple – use three boxes to craft a bridge, place one ahead to form a staircase and reach a higher ledge for example. However this soon starts to develop into something far more complex and rewarding. The game manages to introduce new ideas to you so smoothly you never feel frustrated nor unchallenged as you play. At under a fiver, Boyboy! is great value for money and it’s titles like these that I wish Nintendo would invest more into. Sure I love Mario, Link and the whole veteran crew, but games like Boxboy! can have me smiling just as much too. A late entry in the list, FAST Neo Racing is not the next F-Zero Nintendo fans have been clamouring for… but it’s not necessarily trying to be. 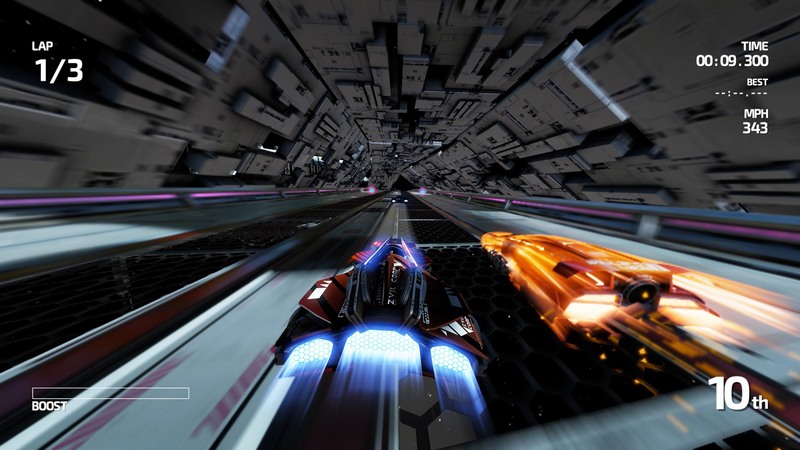 Yes, it is a futuristic racer that sees you going fast (very very fast indeed), but a number of unique features and twists help give Shin’en’s racer its own flavour. First things first, this game is perhaps the fastest racer I’ve ever experienced. Faster than any Wipeout game and even F-Zero GX, how Shin’en have developed a game that looks so sharp and moves so quick and still run at 60 frames per second is nothing short of incredible. Thankfully it’s not just the speed that impresses – everything from the track design to the handling of the vehicles feels just right. Every locale boasts a number of exhilarating moments whether it’s gliding along in zero-gravity or losing your mind in tracks that bend and twist. Online features are always a nice addition for any eShop release, but it’s the local multiplayer that you’ll want to try – races keeping you on the edge of your seat as you all make best use of your boosts. What the game lacks in character, it more than makes up for in terms of fun. FAST Racing Neo is a great way to end the year for any Wii U owner.